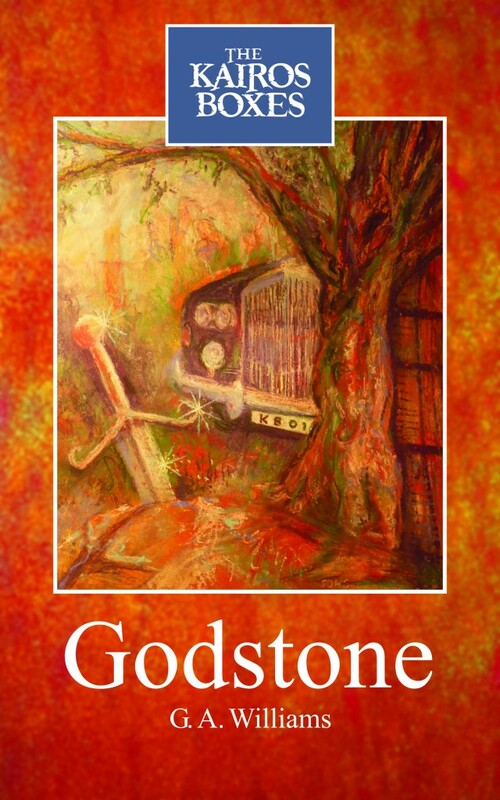 ‘Godstone – The Kairos Boxes’ begins in present day England with 17 year old Jacob living at the home of his uncle in the ancient village of Godstone (Jacob’s parents having disappeared some 15 years previously). While Jacob is occupied with the pursuit of his would-be girlfriend Rachel Isaacson, his uncle (Professor Ketterley) it transpires, has been experimenting with time travel. All goes well at first. The seemingly unlikely means of time travel – the ‘Kairos Boxes’ work straightforwardly. However, this period of romance and ‘time tourism’ is to be short lived. All soon find themselves trapped in the past. They encounter John Trenchman – a retired pirate whose grave they have already seen in a local graveyard in their own time. Some mysterious Christian martyrs and the great Isaac Newton also cross their paths. As they seek to escape the time trap, their adventures offer up questions as to the meaning, power, and genesis of the Kairos Boxes.